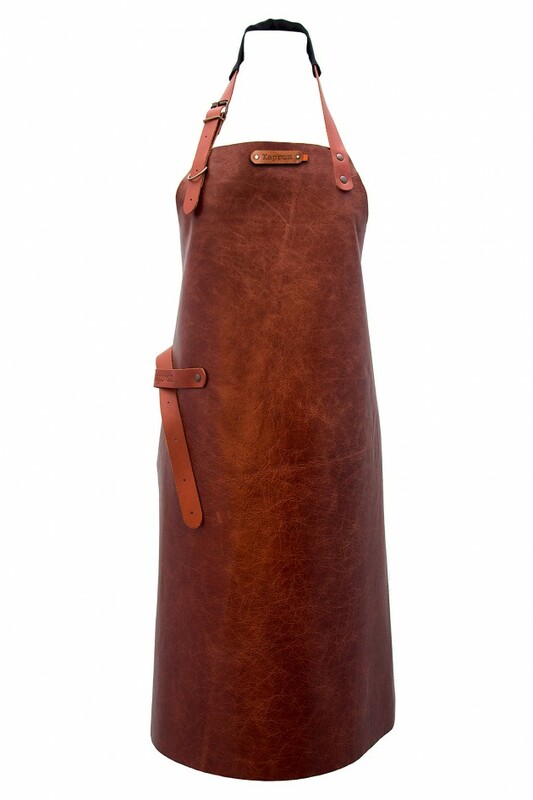 Leather apron. Treated in a specific way, it is not heavy and easy to maintain. Adjustable neck and waist ties. Soft leather cow. 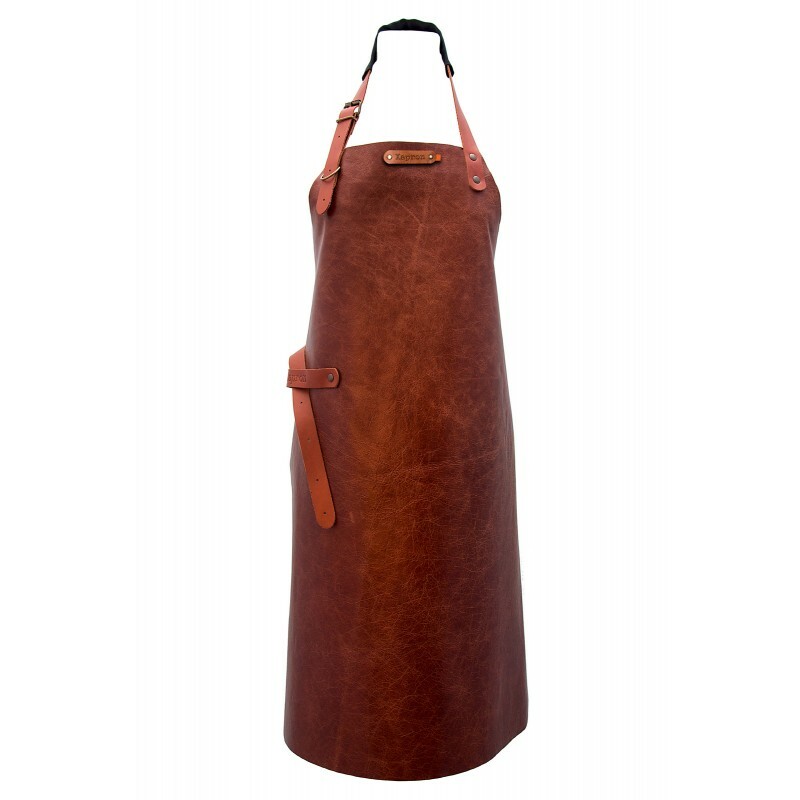 The leather is embellished with the years because it is durable, and very resistant to wear.